M-POST is a standard post processor program that comes included in SURFCAM and allows users to post their SURFCAM toolpaths to NC machine controllers. There are over 200 M-POST post processors which also come included in SURFCAM for major CNC machine manufactures. With M-POST, users can create NC code for EDM, Lathe, 2-axis, or 3-axis machine controls. Examples of some of the controls that are available to SURFCAM users are Fadal, Haas, Mazak, and Fanuc, just to name a few. 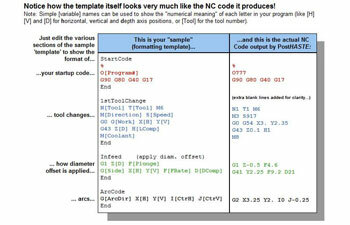 M-POST is an “easy to use” post processor that looks very much like an NC program. 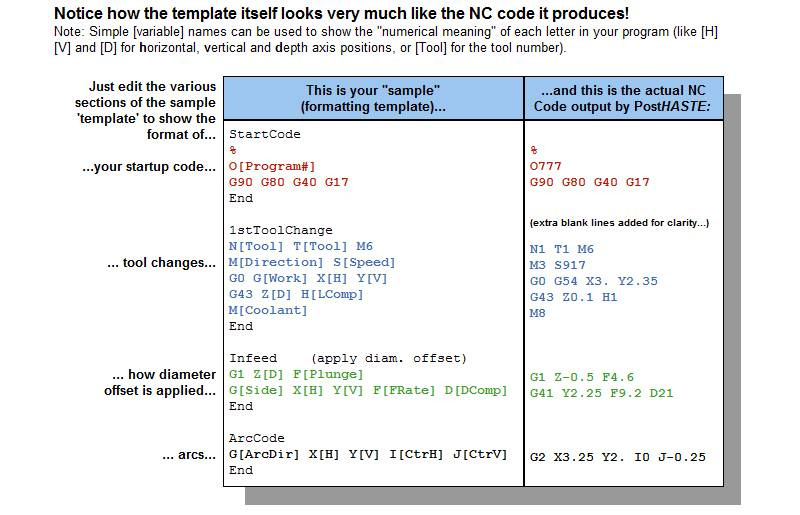 Users just simply have to edit their M-POST templates to look like the NC code they want to see as a result, and then M-POST outputs the NC code to match. SURFCAM users can also use the M-POST NC code to check their programs or make any necessary changes themselves without having to re-post the toolpath again. The benefit of this “easy to use” post processor program is the ability for users to make on-the-fly changes in any text editor or even on the shop floor, resulting in time and cost savings. Disclaimer: In addition to post processors that are included with SURFCAM, there are some post processors that are provided by third-party resellers. All SURFCAM third-party post processors are designed to enhance and improve your productivity in SURFCAM. The following third-party SURFCAM post processors are not developed or controlled by SURFCAM, Inc. and thus, SURFCAM, Inc. is not responsiblefor any losses, damages, or changes that these add-ins may have on your system(s). Any sales or support requests for any third-party SURFCAM post processors are to be directed to the individual post vendor.